Mother’s Day is just around the corner. If you’re in search of fun and exciting ways to have an extra special good time on mom’s big day, TicketsatWork.com has some great ideas – and even greater deals – that will most definitely make Mother’s Day wonderful for the whole family. Coast to coast we have mom covered with lots of terrific ways to spend the day. We’re talking savings up to 50% off on some outstanding shows, attractions and events we know mom is going to love. How about dazzling mom’s senses with one of the many awesome Cirque du Soleil® shows playing in Las Vegas – with savings up to 45% off? Have mom sport her Minnie Mouse headband this Mother’s Day at Disneyland with savings on Disney Land Park Hopper tickets. Sticking in California, here’s a sensational option for mom: See the famous California Wine Country on a half-day tour from San Francisco, or enjoy the immense wine region of Napa and Sonoma during an exciting full day tour via motor coach with savings up to 20%! There’s also the Redwoods & Wine Country Escape Tour: The most comprehensive Wine Country & Muir Woods Tour combines two of California’s top attractions: Redwoods and Wine Country – Save 13%! Now is the time to check out all of our amazing Mother’s Day deals! In Asheville, North Carolina mom can explore the lovely Biltmore House; your estate admission ticket includes daytime entrance to Biltmore House, Gardens, Winery and Farm Village, and access to great shopping and dining. 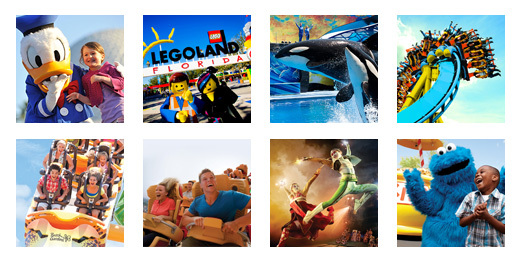 Save up to 30% on general admission. Don’t Forget: Moms Free on Mother’s Day! Let’s scoot over to Texas and SeaWorld® San Antonio: here you’ll find roller coasters, rides, shows, tours, attractions and family-friendly activities for thrill seekers and animal lovers. Save up to 25% on single day admission! In Florida there is always Walt Disney World®‎ and our super theme park specials. Or maybe mom would like to kick up her heels on South Beach and the always-popular South Beach Food Tour. Venture to places that craft some of Miami Beach’s tastiest bites. This tour is a “melting pot of cultures” and we’ll be sitting down at some restaurants – and savor different bites standing and on the go. Situated in the heart of downtown Atlanta, the Georgia Aquarium features more than 10 million gallons of water and more aquatic life than any other aquarium. Spend the day with mom + with 10% off savings! There’s plenty to do with momma if you are in New York City, including a Jazzy Champagne Brunch Cruise (Save 20%), a day at the Museum of Modern Art (Save 20%), or why not enjoy a classic Broadway show this Mother’s Day. Popular hits like “The Lion King,” “Mamma Mia!,” “Chicago,” “Wicked” and “Jersey Boys” have long runs for a reason, and we can help you with tickets for these packed shows too. However you decide to spend Mother’s Day it’s for sure going to be special. But if you’re looking for something new, or want to add an extra dab of zing for mom, we have all the best Mother’s Day Deals on TicketsatWork.com.